Step 1: Make sure you have updated your Whatsapp. 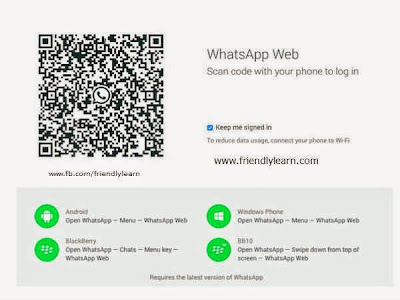 Step 2: Open http://web.whatsapp.com in your Google Chrome browser on desktop or laptop. Step 3: Open your Whatsapp and press Menu button, which has options like New Group, New broadcast, Status. 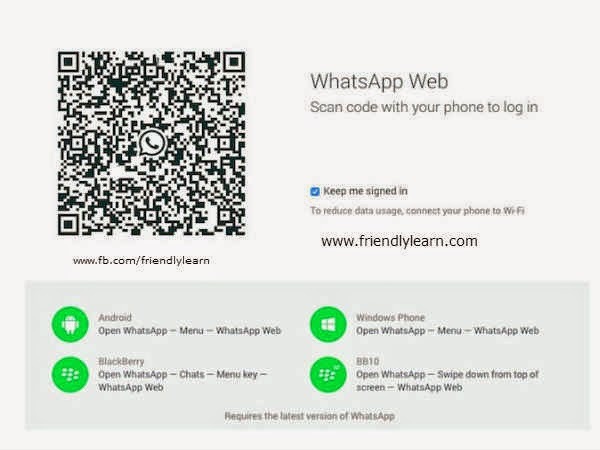 Step4: Select WhatsApp Web in it. Step5: Scan the QR Code on your desktop's Chrome browser with your mobile phone.